Our recently renovated, bright rooms invite you to a relaxing stay thanks to their modern and pleasant furnishings. Luxuriously furnished with a view across meadows, the forest or the unforgettable mountain panorama, our hotel provides you with all the comforts for a relaxing holiday. The following prices are valid for the given number of people per night. The cost for each additional person is €69 per person per night. The price of all overnight accommodation includes a hearty breakfast buffet. Accommodation from May to November also includes the “Bergbahnen Inklusive” ticket allowing you to use the cable cars at no extra cost. The room, which is 14 m² and has a 1.40 metre-wide “King Size” snuggle bed, is suitable for 1 – 2 people. The spacious room, which is 17 m² and has a 1.40 metre-wide king-size bed, is suitable for 1 – 2 people. From the panoramic balcony there is a magnificent, direct view of Oberstdorf and the valley. 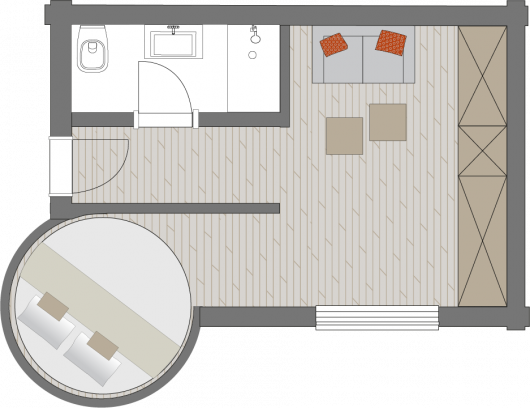 The comfortable double room with 15 m² of space is ideal for 1 – 2 people. Our double rooms range between 22 m² and 27 m² and are ideal for 1 – 2 people. 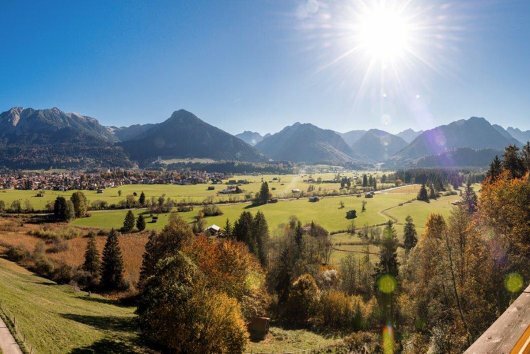 You can enjoy a magnificent view of Oberstdorf and the valley from our panoramic balcony. The spacious 30 m² room is perfect for a stay with friends, acquaintances or work colleagues, thanks to two separate single beds. The panoramic balcony provides a serene vista with a unique direct view of Oberstdorf and the valley. The romantic apartment with a separate entrance has 43 m² of space and is ideal for 2 – 4 people. A circular double bed in the alcove of a bay window provides you with a direct panoramic view of Oberstdorf and the valley. 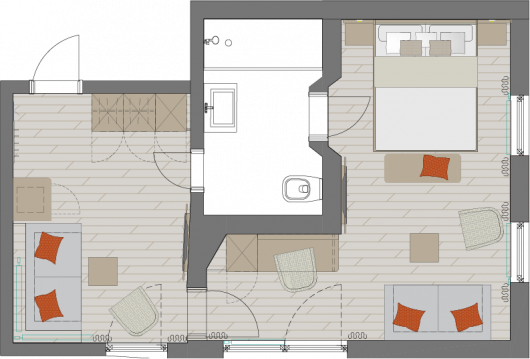 The apartments from 27 m² to 39 m² of living space are ideal for 2 – 4 people. At any time of the day our guests can enjoy a magnificent, direct view of Oberstdorf and the valley from the panoramic balcony. 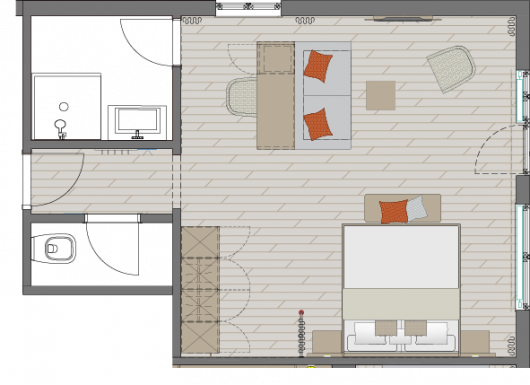 The Grand Apartment with 47 m² of space is ideal for 2 – 5 people. It consists of a double room, a single room and a separate living area. You can enjoy a magnificent, direct view of Oberstdorf and the valley from the panoramic balcony. The Grand Apartment with 50 m² of space is ideal for 2 – 8 people. 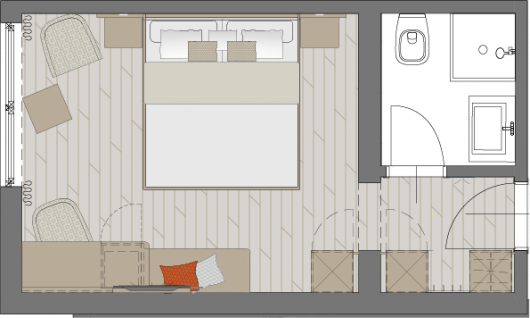 It consists of a combined living/sleeping area and a living room. From the balcony there is a direct view towards Söllereck and the forests. 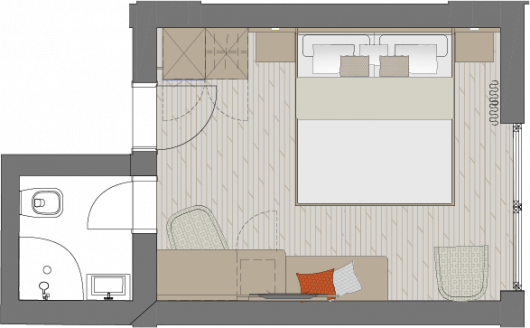 The apartment suite has its own kitchen and with 88 m² it has ample space for 2 – 6 people. You can enjoy a magnificent, direct view of Oberstdorf and the valley from the panoramic balcony. The Grand Apartment with 60 m² of space is ideal for 2 – 6 people. 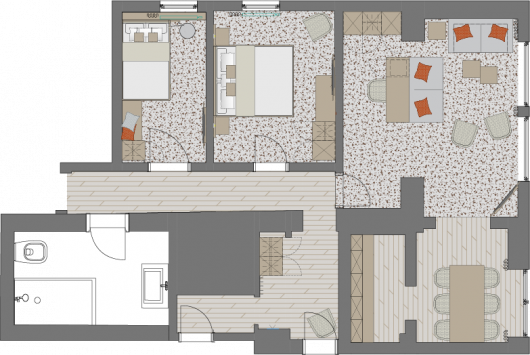 It consists of two bedrooms and a living area. From the panoramic balcony there is a magnificent, direct view of Oberstdorf and the valley.